With the Disney fan celebration D23 Expo well underway in Anaheim, California, Disney and Lucasfilm have been teasing out bits and pieces about what the addition of Star Wars can bring to Disney fans all over the world. This is the first D23 after Disney’s acquisition of Lucasfilm last year, so it will be very interesting to see what new Star Wars news comes out of D23 this weekend. 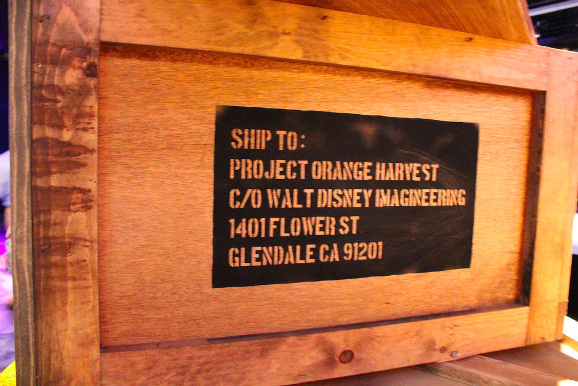 Earlier, Lucasfilm teased something interesting with a collection of crates labeled “Orange Harvest.” Some believe the crates have to do with Star Wars: Episode VII, while others believe that it might have something to do with the proposed Star Wars Land theme park at Disneyland. 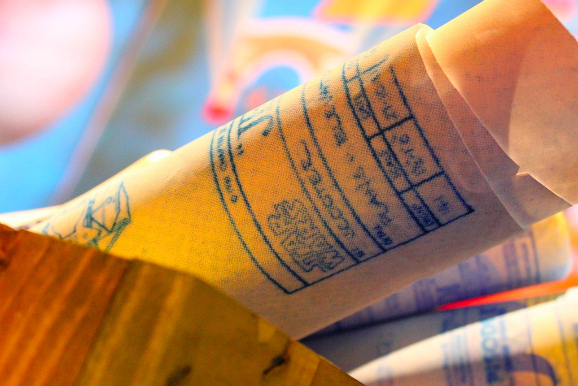 Inside The Magic talked to one of the Disney Imagineers about the mysterious Star Wars-themed crates. 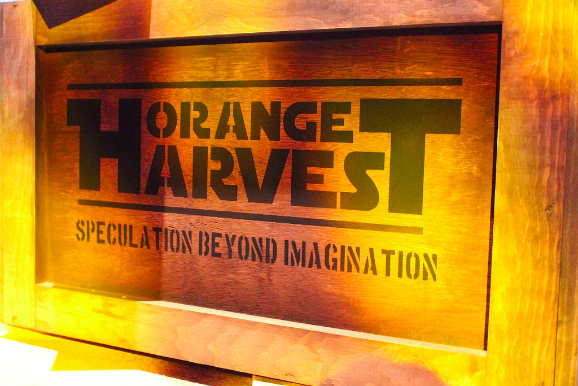 While the Imagineer was being playfully coy about the origins or contents of the crates, Inside The Magic speculate that they might be for a possible Star Wars Land announcement during the D23 Expo. 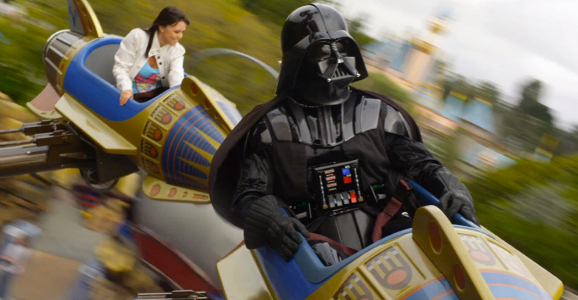 At the moment, it is believed that Disney wants to include more Star Wars-oriented attractions to Disneyland. The very popular Star Tours Ride still draws in crowds, but it seems as if Disney would want to expand the Star Wars brand at Disneyland, considering the expensive acquisition of Lucasfilm last year. Disney didn’t spend $4.4 billion to just re-launch a Star Wars sequel trilogy; they would want to expand the brand across the entire Disney Corporate umbrella. A few months ago, Disney sent out surveys to park guests to gauge interest for a Star Wars theme park at Disneyland, which already hosts a yearly Star Wars Weekend at the theme park. Some of the attractions during Star Wars Weekend are the Jedi Training Academy, a kid-friendly version of Star Tours for shorter guests, and various other Star Wars-related events. Meanwhile, ComingSoon.net got an early look at an exhibit at D23 that teases Avatar Land, which would be part of Disney World’s Animal Kingdom in Orlando, Florida. 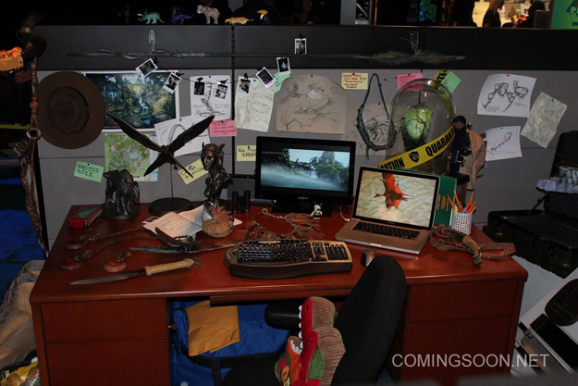 The tease was a cluttered desk with various items from Na’vi warriors including spears, knives, and other Na’vi weapons. Also on the desk were a few computers that were playing the film Avatar. If Avatar Land was announced at D23, it is believed that it would take over Camp Minnie-Mickey at Disney World’s Animal Kingdom. Last year, Avatar Land blueprints leaked and revealed that the theme park would include a water ride like Disney’s Jungle Cruise and a Star Tours-like 3D simulator ride. 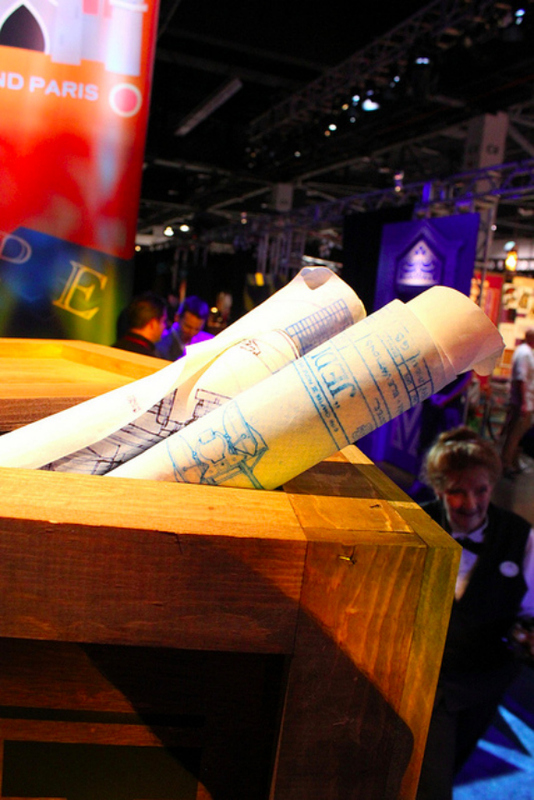 The blueprints also revealed a space for four giant 3D movie screens in the center of the theme park. Disney’s Animal Kingdom features The Tree of Life at the center of the theme park, so it’s almost fitting that Avatar Land would be part of it. The leaked blueprints indicated that the proposed Avatar Land might be ready for enjoyment sometime in 2017 or 2018. If this were true, then it would line up perfectly with the new Avatar sequel films that will be released subsequently in 2016, 2017, and 2018. Why just watch Avatar when you can fully experience Pandora at Disney World?